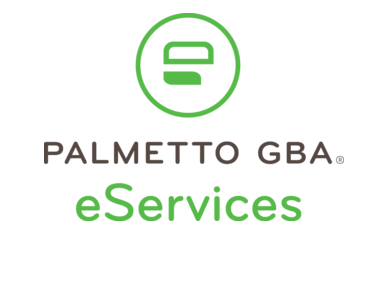 Palmetto GBA continues to expand tools on our industry leading provider portal to include trend reporting, multiple provider comparative reports, and other devices to assist groups and individual providers with their Medicare business analytics. We’re now leveraging this suite of products and their use by providers to develop our Provider Behavior Analytics Engine (PBAE). PBAE goes beyond the typical outlier analytics and uses their interaction with these new analytic tools to allow a provider to either self-correct or self-select themselves for additional interventions. Our portal efforts remain highly visible with our customers, and we work closely with them to define new requirements and look for additional features to develop. Palmetto GBA seeks to modernize Medicare debt management activities. In 2017, DMS improved automated data entry processes, augmented system response and enhanced error handling. These modifications resulted in heightened system productivity and more efficient handling of processing errors. In addition, system-wide flags were implemented to better integrate activities between operational areas and improve visibility of high-priority actions. Palmetto GBA is further developing our ability to receive and process both the electronic and automated clinical data we receive from the provider community in support of medical review documentation requests, appeals and prior authorization. iDA includes the tools to facilitate automated adjudication. The Centers for Medicare & Medicaid Services (CMS) has increased its focus on systems security and heightened its number of security requirements, including a 20 percent increase in controls to be implemented by September 25, 2018. To meet — and exceed — these expectations, Palmetto GBA remains committed to improved overall system security. In the last year, Palmetto GBA made more than 15 enhancements to the Security Manager Application, including the ability to process the new JJ A/B MAC information. Continued automation has reduced audit issues, errors and costs associated with the controls, and we are planning further developments in 2018. The IP-360 system security score provides CMS with a viable and base metric for measuring IT risk on our Medicare network. Maintaining an “A” is a strong indicator that Palmetto GBA’s patch and configuration management programs are working well, even considering the major challenges presented by Meltdown and Spectre. IP-360 System Security maintained an “A” rating for the past 51 consecutive months.